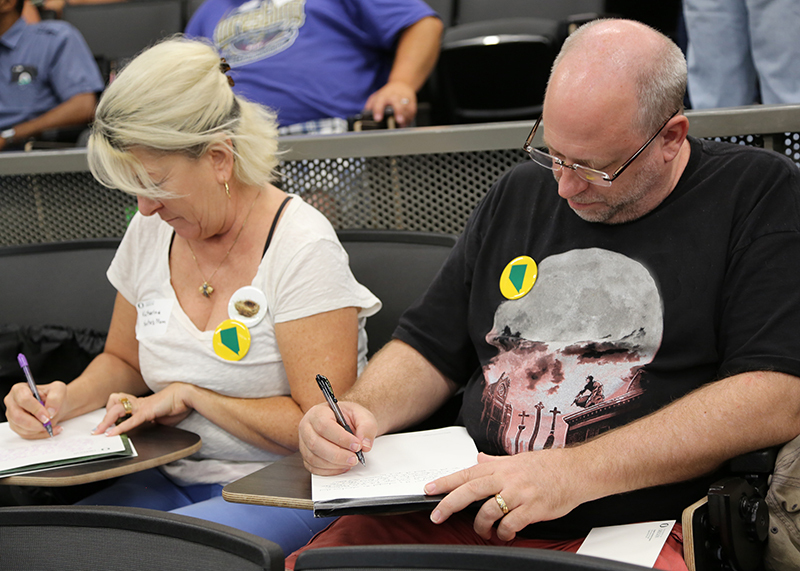 On a sunny morning in late July, parents drift into seats in the Straub Hall lecture hall. Kathryn Dailey, assistant director for Substance Abuse Prevention, asks if they’ve seen “Animal House,” the rowdy 1978 college comedy shot on the UO campus. Lots of hands go up. 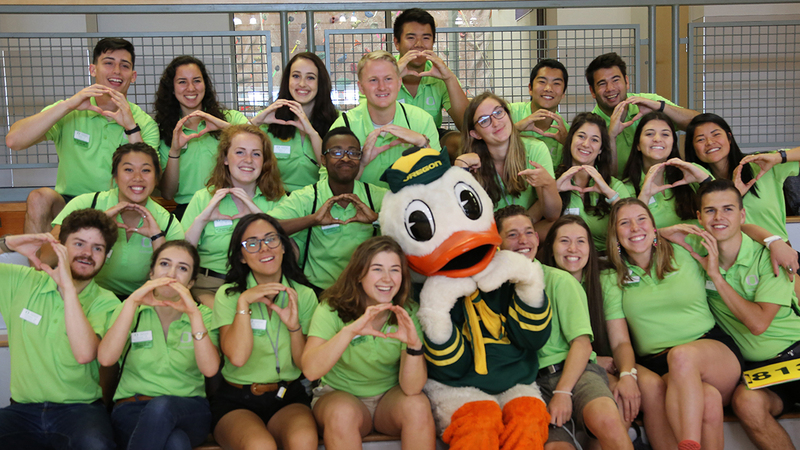 This is IntroDUCKtion, the two-day sessions that all new UO students attend, visits once known as orientation that now do much more than showing first-years where to find the dining hall. And it’s not just students who are being introduced to college life but also their parents. The UO has transformed IntroDUCKtion and become a leader in helping students make the leap into campus living and helping parents let them do it. And the university has pioneered new programs aimed squarely at dispelling the myths about “party schools” and helping students stay safe and healthy. 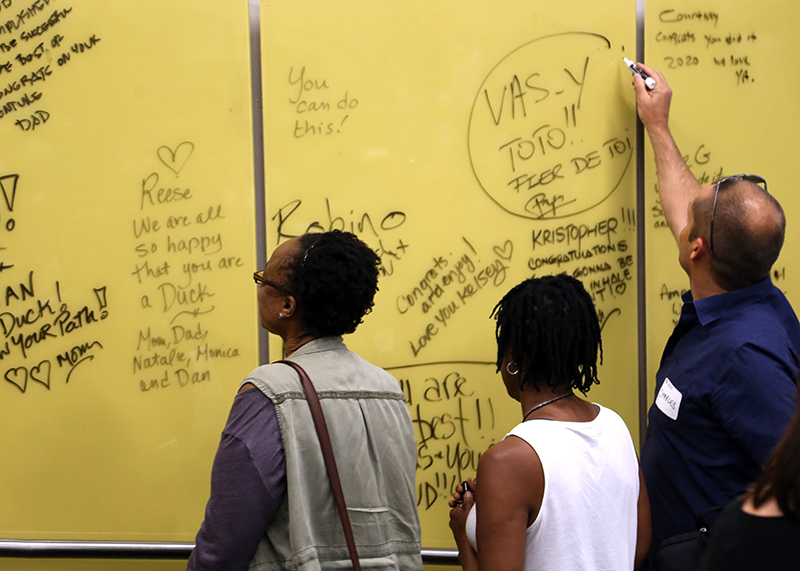 During the visit, parents and family members attend sessions on topics that include money matters, how academics work at the UO and how to help their students succeed at college, something the staff call holding on while letting go. But IntroDUCKtion goes beyond those college basics. 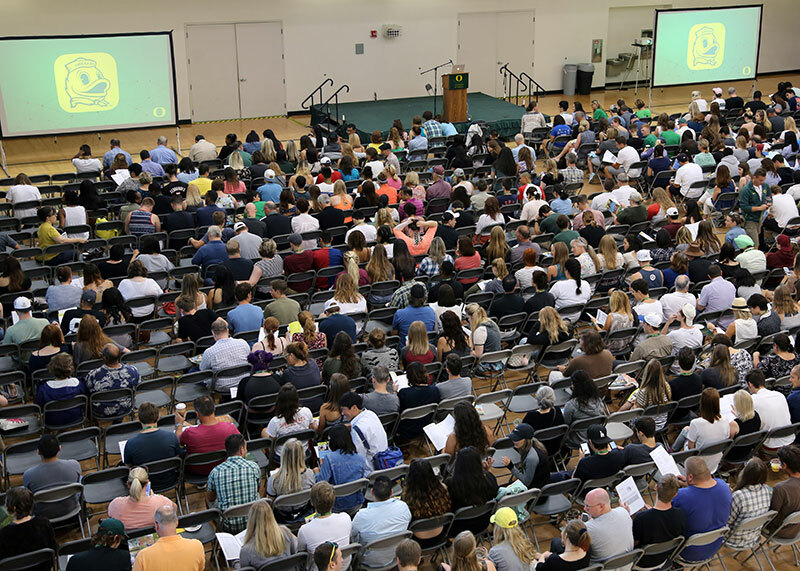 Officials from student life and enrollment management have refined the way they communicate to parents and students, offering some straight talk about how to prevent sexual violence, binge drinking, and other unhealthy behaviors. 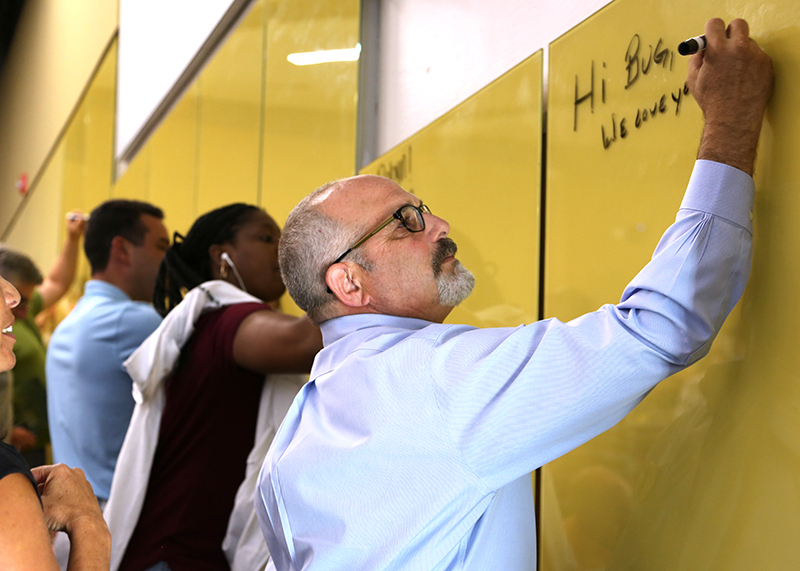 It’s part of a comprehensive, science-based effort to keep new students healthy, safe, and successful as they make the transition from high school to college. The first six weeks of the academic year are a time when there is an increase in incidents of sexually assault and high-risk drinking on college campuses across the nation, according to several studies and surveys. “We are asking students, most in their late teens, to not only go to school but also manage their own lives and finances and create a social support system in a very quick period of time,” Swanson said. Back in Straub Hall, Dailey is telling a roomful of parents that nearly one-third of incoming first-year students don’t drink and another 38 percent haven’t had a drink in the previous 30 days. And, she says, students will have no trouble finding lots of activities on campus that don’t involve alcohol. The idea behind presenting such information is known as “social norming” — a concept holding that young people’s attitudes are often distorted by exaggerated depictions in media and culture and that those attitudes that can be changed by showing how young people actually behave, what the social reality actually is. At the same session in Straub Hall, Kerry Frazee, director of sexual violence prevention, lays out the national numbers: One in 5 college women, and 1 in 16 college men, are victims of sexual assault. 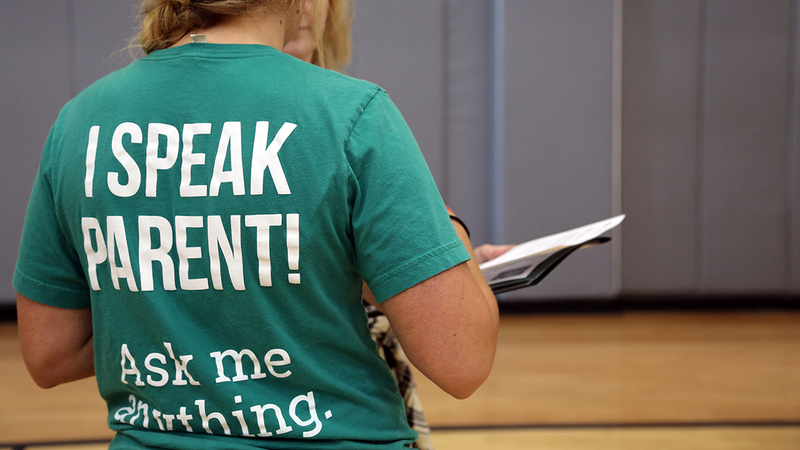 She encourages parents to have conversations with their students even if they might seem uncomfortable. Ask them about consent; ask them if they know what their sexual boundaries are; ask them how they handle rejection. Engage with your sons, she tells parents. Have the conversation. Help them change the culture. Those conversations may be awkward, but the investment is worth the discomfort, she said. Jake Hodgin of Beaverton, father of an incoming student, said he was glad to hear university officials talking about how to help prevent sexual assault and binge drinking. University officials said the candid talk is intentional and reflects the national conversation about sexual violence on campus. But the idea is not to fan fears; rather, it’s to be proactive and to give parents and students tools, based on prevention science, on how to end and prevent sexual violence. Frazee said she’s already seen the campus culture change around these behaviors. “So many students are engaged and taking ownership of this issue,” she said. Prevention science is an interdisciplinary field that tries to improve public health by identifying risky behaviors and protective factors, and determining which interventions can reduce risk and minimize harm. One example: the Get Explicit program. 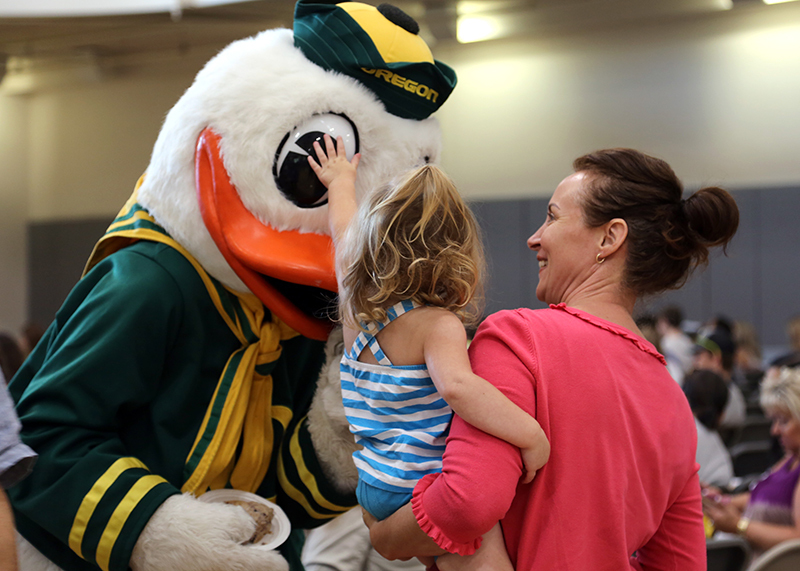 Tailored for new students living in residence halls, the program addresses what it means to be a Duck by preventing sexual violence. Training includes interactive discussions about healthy sexuality, boundaries, communication, consent, alcohol, social norms, sexual assault, and bystander intervention. “This is really sort of the launching point for the rest of their life, so it is really pivotal that we help them have a successful launch,” she said. She develops prevention programs for behaviors that can be hazardous to college students, including alcohol and marijuana use, gambling and risky sexual behavior. Working with the Division of Student Life is a natural partnership because they can help implement her programs, she said. “It’s great for me to develop these interventions to help college students, but unless I have a way to deliver it to college students, it’s largely useless,” she said. But intervention programs informed by prevention science are no magic bullet, she cautioned.